Here’s a great deal on a Wii game that looks like a lot of fun! 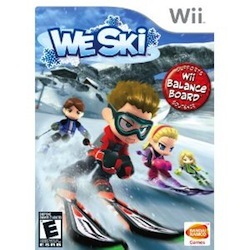 Amazon.com has We Ski for Nintendo Wii priced at just $4.79 right now. That’s 76% off the retail price of $20. It has good reviews too. Intuitive controls – Fly down the slopes with your friends and family – Hit the slopes with up to 4 players to race, slice through slaloms, and traverse moguls as you head to the lodge for some hot chocolate! As big as a real mountain – We Ski features 14 exhilarating courses, including runs for beginner and intermediate skiers, and black diamonds for the advanced skiers! Race down the slopes and more! – In addition to races, freestyle, moguls, and slaloms, enjoy over a dozen other activities including Ski School, Centipede Races, Search and Rescue, and shoot photos to share with your friends on WiiConnect24! Ski the mountain at night – Enjoy the kaleidoscope of colorful fireworks in the night sky as you perform night specific activities on all 14 courses! Ski with your Mii or a customized character – Use your own Mii, or customize your characters with almost limitless combinations of hair style, body type, and more! And earn points to buy new skis, gloves, outfits, and more! This item ships for FREE with Amazon Prime, or on orders of $25 or more with Super Saver Shipping. 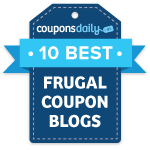 The price stated above was valid as of 3:46PM CST on November 12, 2012. Prices and availability are subject to change at any moment. Please confirm the price before you complete your order.